An unusually intimate, detailed and vivid picture of a place that is simultaneously private and open. 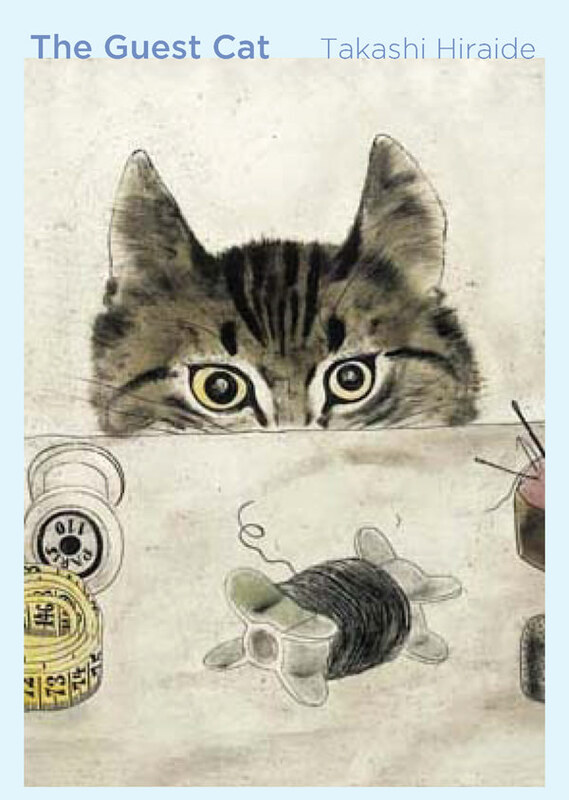 It’s clear there is a tradition of literary works centering on or featuring cats in modern Japanese, and we now have from New Directions a translation of a splendid addition to that list. … a work of subtleties revealed only with repeated readings. I recommend it unreservedly to the general reader. The little feline sets off a chain of disquisitions on nature, destiny, joy, pleasure, and sorrow. This is a beautiful, ornate read, brimming with philosophical observation, humor and intelligence, leaving the reader anticipating more translated works of Hiraide. A wonderful tale about the desire to possess and the pain of absence. And such writing! Precise, delicate, enchanting. A seemingly endless string of shape-shifting objects and experiences, whose splintering effect is enacted via a unique combination of speed and minutiae: what initially reads like free association turns out to be a near-microscopic record of emotions and phenomena. The Guest Catis a rare treasure.